A small urban hatch Ford Fiesta 2017-2018 in the new body was shown to the public in November last year (Cologne, Germany). The manufacturer presented its updated model in 4 versions at once, and also boasted the presence of the most advanced options and electronic systems. In the spring of 2017, the American novelty began to be sold in the EU countries. It should be noted that the model first appeared on the world market in 1972. 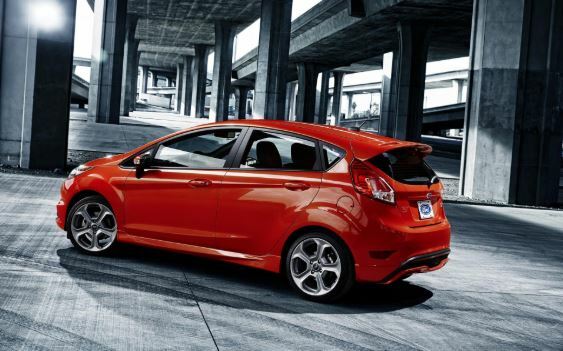 During this time, more than 18 million people have become happy owners of a hatchback. Despite the fact that the model is already considered relatively new, Ford engineers are constantly improving it, thereby fueling public interest in the car. – turbodiesel installation of 1.5 liters. Its power can be 85 or 120 horses. The car will be offered in the three-door and five-door bodywork. Compared to the previous version, the dimensions have slightly increased. Now the length of the hatch is 4 m 4 cm, width – 1 m 73.4 cm, wheelbase – 2 m 49.4 cm. 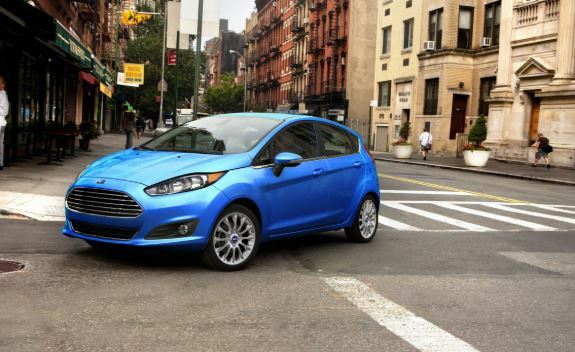 After all the improvements, the urban hatchback is able to hit even the most capricious youth. Indeed, the exterior of the car turned out very modern and high quality. 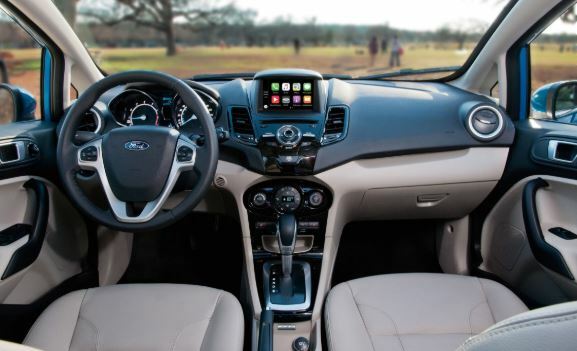 The front part of the Ford Fiesta 2017-2018 in the new body is decorated with updated head optics, grille and bumper. In the back there are marker lights that work on the LED elements, as well as a large bumper with reflectors. A small tailgate is topped with a spoiler. He does not weigh down the overall picture. From the side, the car looks no worse than the front. Looking at the profile you can see that all the lines are smooth and streamlined. The hood gently goes into the sloping windshield. The line, without interrupting, continues on the roof and passes into a small stern. Neat ribs are pressed on the doors, which only slightly underline the silhouette line and highlight large wheel arches for wheels with a diameter of 18 inches. The image from the on-board computer is displayed on a large monitor with a diagonal of 4.2 inches. It has excellent picture quality. Also, engineers have installed and new wiper blades. Because of this, they began to clean a large area of ​​the windshield. For the seats was chosen completely new fabric. It is of high strength and practically does not wipe. Also, the staff worked on the improvement of noise insulation. But the main highlight of the car was a set of various electronic assistants and assistants. The manufacturer has already submitted their detailed list. – sensors that protect the car not only from a head-on collision, but also from other incidents. The cost of a compact hatchback of a new generation is around 14,000 euros or more, depending on the vehicle equipment level.